The following article originally appears on Forbes. Airbnb Co-founder and CEO Brian Chesky framed the essence of entrepreneurship when he said, "Everyone's got a moment or two in their life where something happens and you make a decision and then your entire life changes." This moment often elevates someone to create new value for business, the economy and society, and eventually for themself. After interviewing 750 CEOs, here are five of America’s great entrepreneurs — across a broad spectrum — who you probably haven’t heard of … yet. Jim Barnett, Co-founder and CEO, Glint, the pioneer in using real-time AI for CEOs and CHROs to measure and build happiness and success in a company. Drew French, Founder and President, Your Pie, the world’s originator of the fast casual, brick oven, customized personal pizza category with 51 locations. Farrah Nickerson, Founder and President, JoJo’s Hedgies. A 16 year who created a company based on her love of animals, that’s beating competition while she’s still a full-time student. Virginia P’an, Founder and CEO, Yumi Eco Solutions, the pioneers in removing plastics from the environment by creating biodegradable dinnerware and toys using bamboo and starches. Dana Spinola, Founder and CEO of fab’rik, a women’s boutique retailer offering on-trend styles with most items under $100 which has grown to 42 stores and has a nonforprofit arm free fab’rik. Robert Reiss: Describe your breakthrough and what you hope to accomplish. Dana Spinola: I hope to create a household brand known first for our heart and second for our product. My breakthrough was on a bus on a mission trip in Africa. I had taken the fab’rik team, and it was incredible throwing us into an environment with no electricity, makeup, skinny jeans or heels. Watching the impact the mission trip had on our team pushed me to think, “how can fab’rik serve the world in a bigger way?” When I got back home, I changed our mission statement to “High Style with Heart,” and it totally changed the direction of our company. While we still value profitability, we prioritize people and our team serving our communities. Drew French: As a 23-year-old entrepreneur when I started Your Pie, my energy and genuine love of creating something people enjoyed was the catalyst for our contagious growth. I believe my breakthrough came when I realized we could scale our franchise while still maintaining its unique, local personality. The key to our success has been smart, sustainable growth and a genuine interest in investing in and improving our communities. I hope to continue building a wildly successful national brand, one that is revered not only for its authentic, delicious food, but for being an important part of the fabric of each community we serve. Jim Barnett: I founded Glint to help people be happier and more successful at work. Our breakthrough came when I witnessed, for the first time, how our software enables organizations to help their people love their jobs, while also helping influence the organization’s business outcomes. It’s exhilarating when companies experience how powerful visibility and insight can be in improving company culture and driving business results. This “aha” moment came when I saw that Glint was actually connecting the dots and helping companies take action. Our customers use our platform to identify the relationships between employee engagement and critical metrics, like customer satisfaction, operational efficiency, safety, and financial outcomes. They’re using this data to be more predictive, to make quicker, more informed decisions, and to become more agile organizations. Meanwhile, their employees feel more empowered, better resourced, and more committed to the company. As Glint continues to grow, I’m excited to continuously work towards a world where people love their jobs. Virginia P’an: Yumi EcoSolutions is on the front lines of defense in the battle to prevent plastic waste ending up in oceans and landfill. What in your life is made from plastic? – toys, storage containers, packaging, etc. Experts say up to half of the new plastics made is just for a single use, and then will be around for 1,000 years. The average American throws away 185 pounds of plastics annually. Our first breakthrough was achieving strong consumer acceptance of Yumi's natural bio-based products we created believing the market was ready for change. Our proprietary patent pending bio-material will replace plastic in Keurig K-cups and also be used in many other applications. In just the food industry ... for meat, produce, dairy, soup, cookies, etc. The list is endless. Another breakthrough is the partnership we formed with our principal supplier to co-invest in an applied research laboratory to commercialize new bio-based replacements for plastic; a research facility we will build up and then become the “Bell Labs” of Bio Materials. This will spread the footprint of eco-friendly replacements for plastics to large mainstream applications and reduce the amount of oil consumption and plastic waste pollution. Yumi is more than just a business, but an important social enterprises that serves people and our planet. We need strong industry leaders and partners who will help to end the dominance of petroleum based plastics. Farrah Nickerson: I have a love for animals and wanted to make it a business. At 13 I bought my first hedgehog, at 14 I started breeding them and at 15 I started JoJo’s Hedgies. The hedgehog breeding community is very tight knit and conservative. Most breeders have been breeding for over 15 years. My website, monthly newsletter, social media and mostly my passion for exceptional service has helped sell hundreds of hedgehogs. Now I hardly have babies available for sale since they sell out quickly and I’m producing quality hedgehogs that almost every breeder wants. Handling fulfillment, marketing, operations and paperwork for USDA inspections keeps me busy because at 16 my real work is being a fulltime high school student. What I hope to accomplish is providing each and every one of my current and future customers happy, healthy hedgehogs. Also hopefully after I graduate college I will be fortunate enough to either have my own vet practice or be a major CEO. Reiss: What advice do you have for entrepreneurs? Barnett: Place the highest emphasis on your people. It’s a notion we as leaders need to commit ourselves to over and over again. Organizations often talk about “putting their people first,” but, more often than not, their words speak louder than their actions—despite best intentions. When building a business, create an environment where your people have a voice and leaders can effectively respond. Start by investing in employee development early. Begin with a simple, “brown-bag” sessions on how to run meetings or how to set goals. At the end of the day, your business is only as great as the people who embody your mission and who go above and beyond to see the company succeed. Invest wisely. P’an: Entrepreneurs need to be committed and follow their passion, work hard, intelligently and creatively, persevere in the face of challenges, accept and learn from failures, celebrate the wins and ride out the lows. French: I believe great entrepreneurial success comes from being true to yourself, but surrounding yourself with a leadership team that rounds out your expertise. I am a dreamer. My creative ideas and passion for our brand must be supported by robust business practices. As an entrepreneur and company leader, it is important to show a strong work ethic while maintaining positive outlook and welcoming attitude in everything you do. Personally, I have found that my creative juices flow and I’m more apt to come up with new and innovative ideas when my mind is focused on what is going right instead of mired in the inevitable challenges every business owner faces. Being intentionally positive as a leader serves as great inspiration to our team and allows for an environment of collaboration, active participation and problem solving. Nickerson: In whatever business you are in you just have to remember age is just a number. Just because you are younger or older then your customers/employees/competitors doesn’t mean you can’t do as well or better then them. I’ve learned the hard way that you can’t please everyone and that not everyone can be your friend. At the end of the day business is business and it should be kept that way. Spinola: Take care of yourself. By nature, your entrepreneurial spirit will keep you up at night thinking about the next big idea and all the ways to elevate your business. You want to do it all, and you can—in short bursts—but you do need time to recharge. Trust me, you cannot serve your business well if you’re running on empty. The best thing you can do for your business is invest in yourself first so that you can then invest in your people. Give them a chance to step up and shine...they will blow you away, and you will feel free to look up from the details and once again see the vision of your original intention. … In summary, just as we can learn from well-known entrepreneurs of our time like Brian Chesky, there are game-changing lessons from the above five great entrepreneurs. And next time you meet an entrepreneur, just ask them about their moment of inspiration and their advice to build a great company. The following article originally appeared on The CEO Forum. I was fascinated by Virginia’s model to break the plastic cycle as this was the first time I’d heard of such a solution. “Yumi EcoSolutions is the first line of defense in the battle to prevent plastics ending up in oceans and landfill by producing products made from eco-friendly natural and organic materials like bamboo and starch which are completely biodegradable. Our Yumi registered tagline is: “The throw away that goes away®”. The following article is reprinted from the Summer 2017 issue of Edible Nutmeg. For Virginia and Albert P’an, exploring possibilities enabled by biomaterials is now a seven-year-old journey. Their company, Yumi Ecosolutions, is on a mission to create a healthier and more sustainable world for future generations by replacing plastic with natural materials. Yumi EcoSolutions designs and markets sustainable plateware products that are much more than just an environmentally friendly alternative to plastic. They are beautiful, elegant, and durable pieces worthy of being showcased in any kitchen or at any home party or summer picnic. Yumi first entered the market with their line of Return branded plates, bowls, cups, and cutlery. Made with starch derived from corn, all Return products are biodegradable, compostable, renewable, and sustainably produced. Return plateware can be found in over 3,500 stores nationwide, with Kroger being a recent example of a large retailer to take in the brand. Yumi also features a line of artful bamboo products, which include an assortment of bowls, trays, serving dishes, and even ice-cream scoopers. Yumi produces these products with repurposed bamboo; leftover scraps from the manufacture of furniture, flooring, and cutting boards, once destined to be dumped into landfills, are transformed into useful goods. “All of the repurposed material is ground into a fine powder, mixed with food-grade coloring, then compressed in a mold using high pressure and heat,” explains Virginia. The resulting creations are durable, non-toxic, melamine free, and absolutely gorgeous. The P’ans’ attention to detail in their product design is readily apparent. Yumi’s matte-finish products have a unique tactile texture that’s a function of adding rice husk, another reclaimed raw material. The polished products, with their vibrant colors, shine brightly and look as if they have an extra coating of high-gloss varnish. “We want our version of eco-friendly to be joyful, colorful, and fun, not brown-paper-bag color,” states Virginia. Yumi’s version of fun is on display in their Amoré 6-Piece Sculpture Stackable Bowl Set, which invites consumers to arrange the bowls in various configurations, or the Natural Bamboo Wine Party plates that combine a sturdy, colorful plate with a cutout that functions as a parking place for wine glasses. Before becoming full-fledged entrepreneurs, Virginia and Albert enjoyed successful careers in finance and engineering. Virginia has been a pioneer throughout her career in finance, having held executive-level positions at American Express and the Federal Reserve. Albert’s background in engineering and finance, along with a Harvard MBA, complements Virginia’s skills. He oversees the company’s finance, supply chain, logistics, and pricing strategy. The couple is intent on reversing troubling trends associated with plastic consumption across the world. According to Eco Watch, 50% of all plastic products are used just once and thrown away. The amount of plastic discarded as trash each year is enough to circle the Earth four times. The World Economic Forum recently warned that, by 2050, the world’s oceans will contain more plastic than fish in terms of weight. Sadly, despite the increase in recycling programs, only 14% of plastic packaging is collected for recycling, much less than the reuse rates of other materials, such as paper or iron and steel. The P’ans believe that the best solution to address these issues is to reduce the amount of plastic that is used in products and packaging in the first place, and they are up for the challenge to chisel away at the $350 billion plastic industry. For a couple who have accomplished so much in their careers, the P’ans seem quite content learning the ins and outs of a whole new industry along with adjusting to an entirely new approach to getting work done. When asked to share some of their accumulated entrepreneurial wisdom to date, they noted two things: new entrepreneurs should be ready to accept that things will take longer than they expect or want, and that entrepreneurs must possess a personality that can deal with uncertainty, because every day presents new hurdles. Global production and consumption of plastics have increased significantly since The Graduate predicted the industry’s “great future.” Let’s hope, 50 years from now, we look back and appreciate the forward thinking of companies like Yumi EcoSolutions, who realized a vision and took action to create a more sustainable future. Congratulations to our Founder and CEO Virginia P'an! We are pleased to announce that Virginia P'an, our Founder and CEO has been recognized as one of the 2016 Outstanding 50 Asian Business leaders in the country. This award was presented by the Asian American Business Development Center at their 15th annual Gala Awards Dinner. The following article is reprinted from Innovation Destination Hartford. Innovation Destination Hartford Website Curator Nan Price recently spoke with Virginia P’an, Chief Executive Officer of Yumi EcoSolutions, Inc. The social business venture startup manufactures innovative, premium-quality products made from sustainable and renewable biomaterials and is committed to creating a more sustainable planet. PRICE: Tell me about the name “Yumi.” I read somewhere that it means “corn” in Chinese and “beautiful” in Japanese? P’AN: Yes. And “Yumi” actually stands for “you and me.” Together, we are creating a healthier planet. PRICE: That’s clever. Did you always know you’re going to be an entrepreneur? P’AN: Not really. I’ve had about six or seven different careers now. I’m a serial entrepreneur; this is my third company. At this point in my life I wanted to give back to the community and our world at large. I want to create a healthier, better, more sustainable world for the future generation. That’s why I’m in this business. PRICE: What do you think are the most critical skills you need as an entrepreneur? P’AN: Well, you have to be a pretty driven person to be an entrepreneur because you’re working 24/7. And you have to stay focused. You can’t get distracted, otherwise won’t be able to accomplish anything. PRICE: You touched on how you developed the business concept for Yumi EcoSolutions. Can you give us more background about the company? P’AN: We are a sustainable biomaterials technology company. Biomaterials today is where plastics was in the 1960s. And now, of course, plastics is ubiquitous. It’s a $500 billion industry. And it’s destroying our planet. To demonstrate that these biomaterials are viable, Yumi EcoSolutions got into the consumer products business with our Return® disposable natural starch products and also with our Yumi Nature+™ products, which are reusable. We’re replacing plastics, which are petroleum-based, and proving that these biomaterials are viable and can make beautiful products. PRICE: And even though you can recycle plastics, they are not compostable, like your products. P’AN: There’s a big difference between recycling and composting. Our products are compostable, which means they become peat moss or dirt, which becomes part of the Earth. Recycling has become very big, but there is a misnomer in the market. Recycling is a step in the right direction, but certainly not the ultimate solution because with recycling, what are you recycling? You’re recycling plastic. You’re putting it through a tremendous amount of toxic chemicals to be able to reconstitute a new product. When you use recycled products what do you have at the end of the product? You still have plastic. Right? P’AN: So the recycling industry has done a very good job of not telling consumers that because people don’t think through the whole lifecycle. PRICE: That’s true. As a consumer you think: I’m putting this plastic in the recycling bin and I’m doing good for the Earth. P’AN: You are doing better than not recycling. It’s a step in the right direction, but certainly not the ultimate solution. PRICE: So that was sort of the genesis of starting this specific company—to make an environmental impact? P’AN: Absolutely. Aside from being a profit-oriented company, we’re really a social venture. Our real objective is to create a healthier and more sustainable planet for future generations, as those are the people who will be impacted—your kids and your grandkids. And look what we’re doing right now. PRICE: Yumi EcoSolutions was launched in 2010. How did you fund the company when you were first starting out? P’AN: Let me give you a little history. We started out working with multi-billion dollar consumer product companies. We came down from the Board of Directors to middle-management, so we were talking about replacing yogurt cups, frozen dinner trays, all those types of things. The big companies, when you get into middle-management, were afraid to make a new decision. So we got tested to death. They never could make a deal to say they were going to use our products. That’s when we got funding from the state of Connecticut through the Department of Economic and Community Development (DECD) Small Business Express Program (EXP). We used the funding to develop the two Yumi eco-friendly product lines. Besides the state, most of the money for the investment of the company came from my own personal resources. It still is. PRICE: That seems to be the way it is with a lot of startups and entrepreneurs. PRICE: It sounds like funding was definitely one of your startup challenges. P’AN: Funding is always a challenge for a new business. And it happens while you’re developing and keeping getting your product into the market. That’s pretty standard. There are a lot of challenges to launching a startup. One is funding. Another is finding the right distribution channels to get your products to the market and finding the right people—that’s all based on relationships. You’ve got to find the right people. There are a lot of talkers. PRICE: You’ve definitely been successful finding the right people. Your products are in 1,000 retail stores across the country. How have you built such a successful customer base? P’AN: Hard work. First you have to develop the products. You have to define them, you have to have them made, and you have to design packaging. Everything we do is premium. Our products are beautiful. They’re very suitable for the 21st-century lifestyle. You’ve got to start with a good product otherwise you can’t sell anything. You’ve got to have a good product that’s well packaged. You’ve got to have the right photography before you can even go out to the market. And then you have to carry inventory and—at the same time—you have to build up a sales staff and you have to train them about your products. And, since ours was a revolutionary new product, it’s not like selling Coke or Pepsi. You don’t just show up and ask: How many cases do you want? You have to teach the companies that are buying your products about your products. So it takes extra work. It’s not the typical sales pitch. Yumi Return "The throw away that goes away"
PRICE: You mentioned that you are a serial entrepreneur. Were the other companies you founded products-based as well? P’AN: No, they were all consulting type of work. PRICE: So this is totally new ground for you. PRICE: How has that been for you, learning a completely different business structure? P’AN: It’s great. I’m learning something new every day. It’s wonderful to learn. I love learning. We have to learn every day, otherwise we become dinosaurs. We don’t have a choice—everything is moving so fast. As an example, I recently learned about responsive websites. We just launched a beautiful new website www.yumieco.com. PRICE: Do you have many competitors? P’AN: We don’t have any really major competitors. We’re still pretty first-to-market. But we need to get as much distribution as possible quickly to dominate the market. PRICE: Along those lines, how do you envision the company’s future growth? P’AN: I envision us to be the 21st century’s first billion-dollar eco-products company—which does not exist today. That is our goal. It’s quite conceivable since we’re looking at a $100 billion platform. It’s like when the Chobani yogurt company started. They were nobody. They brought a brand-new product to the market and they’re over $1 billion now. So it’s quite probable and we will be doing it. PRICE: Why are you located in Connecticut? P’AN: I’ve lived here for many years. We love Connecticut. It’s a beautiful state. It’s a wonderful place to live with a great lifestyle. In the early part of my career, I worked for American Express Bank and also the Federal Reserve Bank New York. I commuted to New York from the Greenwich area for many years, so I’m delighted to be domiciled in Connecticut with my office 15 minutes from my house. You’ve also been the recipient of several prestigious awards including the 2003 Leading Woman Entrepreneur of the World Award, the 2006 Business Innovation Award, and the 2008 International Woman of Influence Award. P’AN: And on June 16 I received the 2016 Outstanding 50 Asian Americans in Business Award at Cipriani Wall Street New York. This prestigious award recognizes the best of Asian American entrepreneurs, professionals, and corporate executives who are making positive contributions to our society and economy. PRICE: Congratulations. You’re really making a huge difference, which is fantastic. P’AN: The main thing is to sell my products so we can create a better world. That’s the whole reason. I could do without the publicity, but I have to be out there to make our mission known. I’m the spokesperson for the company and the products. PRICE: Are you comfortable being in the limelight or is it a role you’ve had to step into? P’AN: I’ve been doing this for many years. It comes with the territory. PRICE: Can you characterize your life as an entrepreneur in one word? To learn more about Yumi EcoSolutions and their commitment to saving the world for you, me, and future generations, visit www.yumieco.com. The following article is reprinted from the March/April issue of Town Vibe. Virginia P’an has a very simple mission for YumiEco Solutions: to replace plastics with sustainable natural products. “Plastics account for 25 percent of all solid waste in our landfills,” says P’an, who started this houseware and tabletop-products business in 2010. Working with partners in China, P’an became aware of new natural materials that were being developed for the consumer marketplace. At first, she took these materials to the corporate world. She pitched Weight Watchers and Oreo, for example, to replace their plastic food trays that slide inside the packaging with YumiEco’s starch-based products. “They couldn’t make a decision,” P’an says. “They wanted to test it and test it and test it.” Finally, with the help of a grant from the state of Connecticut, P’an and her team created their own consumer products to demonstrate the viability of these new innovative materials. Now, six years later, YumiEco Solutions has two main products that are sold in more than a thousand retail stores across the county. The Return product line is a replacement for paper and plastic tableware – the plates and other items you might use for picnics or barbecues, then toss. Return products are made from a natural starch. In March 2015, Yumi had ten of its bamboo fiber products featured in the Hall of Global Innovation, Going Green exhibit at the International Home and Housewares Show in Chicago. “This highlighted to thousands of the attendees there how green products could be high-quality, colorful, functional, and attractively designed,” she says. The International Home and Housewares show featured 2,100 exhibitors across 13 miles of floor space from 45 countries. Yumi was the only company at the show to exclusively sell innovative green and eco-friendly home and tableware products. Yumi was nominated as a Tech Company to Watch at the Connecticut Innovation Summit in Hartford last year. “YumiEco Solutions is creating a new market and pushing forward with innovative technologies that will potentially have a positive, global impact,” says Daphne Dixon, a 2015 Green Award winner, 2016 Green Awards judge, and founder of Live Green CT! 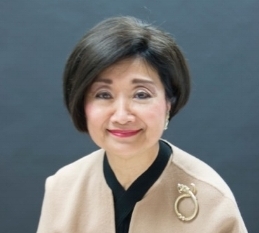 Prior to launching the YumiEco Solutions sustainable eco-products company, P’an was creating financial products at American Express, she was a senior advisor to the Hong Kong Stock Exchange, and she was the first woman to manage investment portfolios, which were in excess of $7 billion, for the Federal Reserve Bank in New York. Grace Farms, Bedford 2020, Yumi EcoSolutions, and Captain Compost are the four winners of the 2016 Green Awards organized by TownVibe. A prestigious panel of three judges selected the winners from nominees in Westchester County, Fairfield County, and Litchfield County. “The judges produced four very impressive winners,” says Geoffrey Morris, president of the media company that produces six regional lifestyle magazines. TownVibe Awards recognize local non-profits, businesses, and individuals who are leading the movement for environmental sustainability and maintaining a socially and economically responsible community. A reception and award ceremony will take place March 10. Grace Farms is an 80 acre natural habitat preserved by the Grace Farms Foundation to promote sustainability and its five initiatives: nature, arts, justice, community, and faith. The Foundation River Building is an environmentally conscious structure that provides a sanctuary and community center for people to gather to support the five initiatives. Bedford2020 is a non-profit organization with an initiative to reduce greenhouse gas emissions by 20 percent by 2020. Through increased awareness and encouraging environmental action through fuel and energy efficiency, composting, and recycling, to name a few, the town has already reached 79 percent of B2020s goal. Yumi EcoSolutions is a bio-materials company dedicated to eliminating plastics and replacing them with sustainable eco-safe materials. Yumi has created product lines such as Return, a line of disposable tableware made from a natural starch that is compostable and biodegradable, and Yumi Nature+ products made from 100 percent bamboo. Captain Compost, a.k.a. Dan Delventhal, started an organic, gasoline-free lawn care business, runs his home almost entirely from self installed solar panels, and has installed recycling services in all companies he has worked for, and implemented composting at three. Honorable Mention Awards go to Aetheria Relaxation Spa, Alexander Scaperotta, BMW of Ridgefield, Compounded Solutions in Pharmacy, Dana Gips, DeCicco & Sons Market, Ethan Allen Hotel, Fairfield Green Food Guide, Green Granary, Green Star Energy Solutions, Greenleaf Energy Solutions, Healthy Home Energy and Consulting, Heineken USA, Kathleen McHugh, Kent Conservation Commission, Murphy Brothers Contracting, New England Smart Energy Group, New Morning Market, Northwest Conservation District, Planet Fuel, Renewable Resources, Shearwater Organic Coffee Roasters, South Farms, Sweet Earth Company, Vanguard Energies, Wooster School. The awards will be presented on March 10 at the Aldrich Contemporary Art Museum in Ridgefield, CT.
TownVibe is the leading publisher of regional lifestyle magazines including Bedford Magazine, Berkshire Magazine, Fairfield Magazine, Litchfield Magazine, Ridgefield Magazine, and Wilton Magazine, as well as townvibe.com. To purchase tickets to the reception and ceremony, click here. 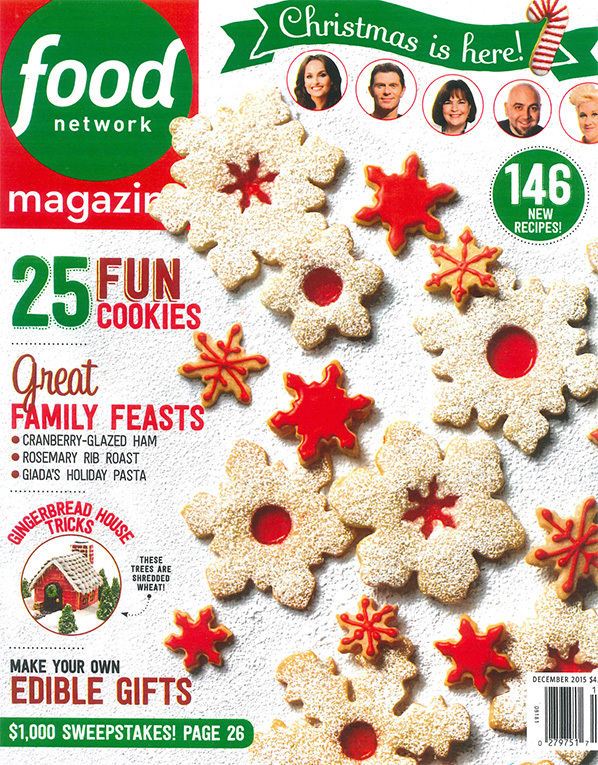 As part of the Food Network magazine's Christmas issue, Yumi's Amore Stackable Bowl set was featured as one of the "100 Gifts for Food Lovers. When we think of the word “disposable,” we immediately see in our minds the picture of a product that is thrown in the garbage being used once. Reality is different. Even though a consumer may use plastic plates and utensils just one time and do the job of getting rid of them by disposing them in your garbage can, these may last for 1,000 years before they decompose.Besides this alarming statistic, plastics use up to 8% of all oil consumed worldwide, make up 15% of all solid waste in landfills and can be harmful to our health by contacting food or water. This is why companies such as Yumi EcoSolutions, located in Norwalk, have been looking for alternative ways by replacing plastic disposable plates and bowls with eco-friendly natural products. The process started when Virginia P’an, Yumi’s founder and CEO, was an advisor for a Chinese company in its products category and later became their exclusive marketing sales distribution in North America. “That is how I got into the natural starch disposable business, looking for something to give back to our society and our community,” she says. Yumi® EcoSolutions products are divided in two lines. Unlike paper products made from trees which take 8-10 years to grow, the Return® products, ”the throw away that goes away®,” are annually renewable. These products are made from natural starch, mostly from annual non-GMO corn crops that are no longer consumable. They have a minimum shelf life of two years. The second line is Yumi Nature+®. These products are made from bamboo powder using a brand new technology that was only patented in the U.S. last month. Dishwasher safe and with a shelf life of at least five years (if used and washed in the dishwasher everyday), this line offers dinner and party serving plates and pasta and salad bowls as well as flower pots in vibrant colors. Yumi™ products are can be used for either hot or cold foods without worry. For example, the Return® tableware products can sustain a temperature range from -40 to +300 degrees Fahrenheit. With offices located in Norwalk, Yumi® products are currently being made in China but the company’s strategic goal is to start manufacturing them in the United States in about 18 to 24 months. Yumi products can be found locally at Palmer’s Market in Darien, Village Market in Wilton, Ancona’s Market in Ridgefield, Our Green House in Newtown and Mario Batali’s Tarry Market in Port Chester, NY. Online, they can be bought through Amazon.com. It was a strange experience. In a glass-walled room at Bloomberg, speakers talked about metrics and analytics and lifestyles and content and social media. For the most part, I had no idea what they were saying. When it was over, men crowded around the speakers who knew about analytics and social media. Women wanted to talk to me. One of those women was Virginia P’an. She said she was developing eco-friendly products my readers might like. We traded cards. Yumi plates and utensils are terrific — they can be frozen, microwaved, heated in the oven and washed in the dishwasher — but the shipping costs on Amazon are almost as much as the products. Only true believers need apply. But the Stacking Bowls? Useful. Ecological. Conversation starters. Its website is hosted on a wind-powered server. Wrigley Field uses its products for all stadium snack bars and concession stands. Yumi products have been sold since 2006 in China, Korea, and Japan and, beginning in 2009, in Italy. Each package of Yumi plates or cups saves the equivalent of one gallon of gasoline in the amount of energy used to make paper or plastic.